Golden Mountain seasoning sauce, often referred to as "seasoning sauce" in Thai recipes, is like a secret weapon in Thai food. In North America, only now is it being discovered. In Thailand, it is a cooking staple. The sauce has been used for well over a century there, contributing a distinctive Thai flavor to stir-fries and other dishes. Like soy sauce, Golden Mountain sauce is composed mainly of fermented soybeans and salt. It tastes quite different from soy sauce, however—it is slightly saltier, plus there is a hint of sweetness since it contains sugar. There is no monosodium glutamate (MSG) in this sauce, but the makers do add a preservative that they call "flavor enhancer" in small amounts, it is similar to MSG, but without the negative effects. The flavor enhancer used is disodium guanylate, which is produced from dried fish or dried seaweed and is often used in conjunction with disodium inosinate to give food an unctuous or umami flavor. This flavor enhancer is not recommended for those with gout or asthma or people who usually get an allergic reaction from aspirin. If you have ever had Maggi seasoning, another popular flavor enhancer in Europe, Golden Mountain sauce is practically interchangeable with Maggi. One of the great things about this sauce is that it is vegetarian and vegan. It even contains a substantial amount of plant protein from fermented soy, which can be considered a healthy food source. It contains about 15 percent of your daily requirement for protein. For vegetarians who like to cook Thai-style food, Golden Mountain sauce can sometimes work as an adequate substitute for fish sauce, especially in stir-fries and tofu dishes. Do take note that like soy sauce, Golden Mountain sauce does contain a small amount of wheat, so it is not recommended for gluten-free diets. You can find Golden Mountain seasoning sauce in Asian food stores, but it can be a bit difficult to track down in mainstream supermarkets in the U.S. The easiest way to purchase it is to order it online. If you do find it in a store, make sure it says "naturally fermented" somewhere on the label—otherwise, you may be buying hydrolyzed soy protein, which is used in fake soy sauces, considered unhealthy, and even toxic in high levels. One bottle will last a long time, as a little goes a long way. Which means you can use just one or two drops at the table. If you do not have any Golden Mountain sauce but your recipe calls for it, you can create something that will suffice by mixing soy sauce with sugar and vegetable or chicken stock. 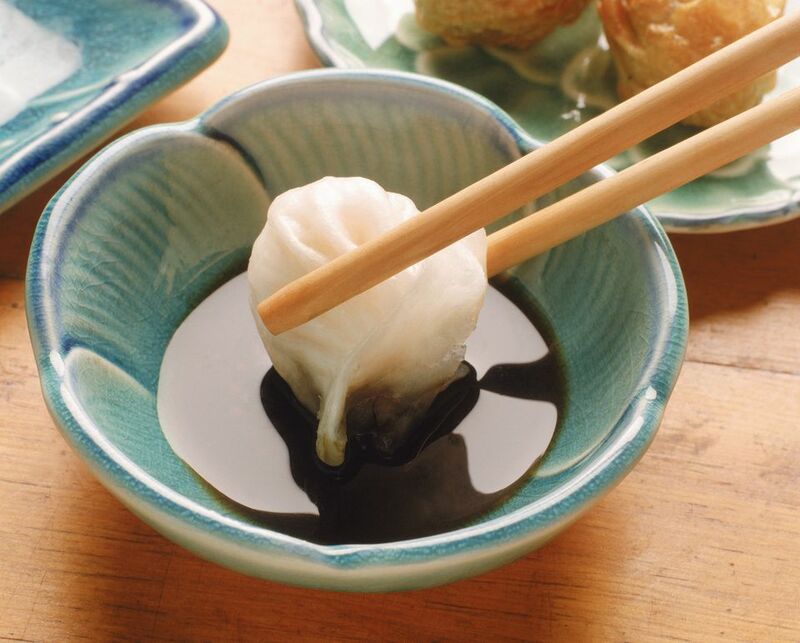 For every two tablespoons of soy sauce, mix with two tablespoons stock, plus 1/4 teaspoon sugar. This home recipe comes close, but it is not a replacement for the real thing. Golden Mountain seasoning sauce is especially delicious in Thai stir-fry dishes such as classic Thai basil chicken, Thai basil pork, or Thai chicken stir-fry with lemongrass, tomatoes, and fresh herbs. It also adds delicious flavor to American dishes such as rice, eggs, and fish.